Howdy folks, and welcome to today’s edition of Five Thoughts. We’re going to go a bit literal today. As opposed to literary, which I don’t think we’ll ever be accused of. Anyways, since we featured so much food type talk last time, why don’t we see what’s cooking this week! Apparently they’ve never heard of the Heart Attack Grill. It could have saved them some time, and probably money. You see, a new study has shown that eating bacon and other processed meats can increase your risk of premature death. To these researches I say.. Wasn’t that already pretty obvious?” Also, isn’t it pretty obvious that people would prefer to die sooner WITH bacon, than live a long life without it? it should be obvious… that being based around the remains of the Motor City, we pride ourselves on kind being car guys. Or at least fans of some of the classics. And it should also be obvious to the writers at Yahoo! 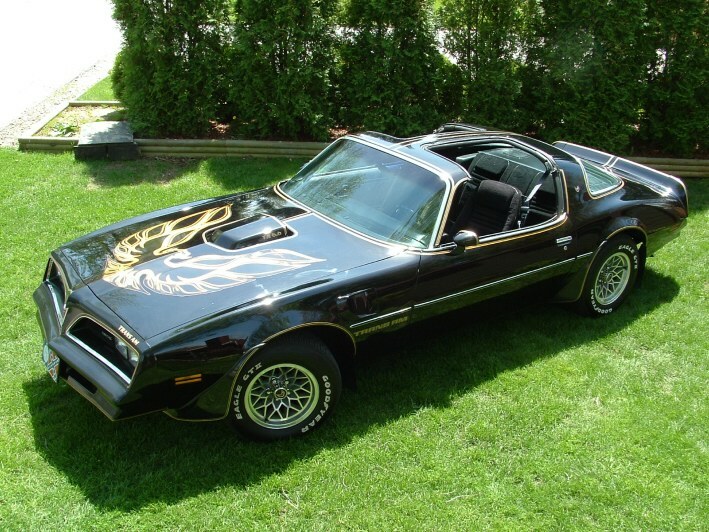 that if you’re going to list “10 Iconic Hollywood Cars” and include the 1977 Pontiac Trans Am from Smokey and the Bandit on the list, that car guys are going to spot the fact that the photo of a Trans Am you have shown is distinctly NOT a 1977 Trans Am. It’s the Tans Am that ran from 1979-1981. The sad thing is, the Yahoo! 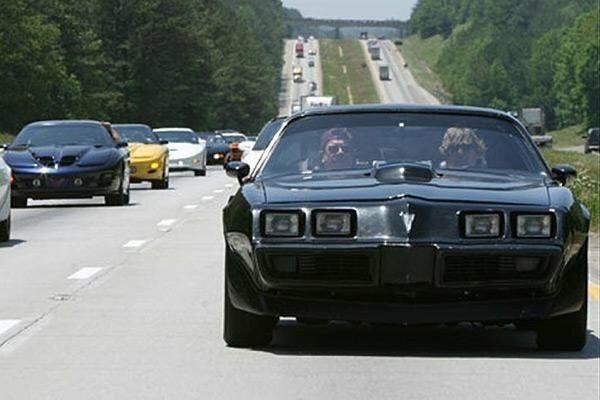 photo appears to be from a parade of Firebirds/Trans Ams. Which means they probably COULD have easily gotten a correct photo. Lastly, it should be obvious that we all hear FAR too much bad news on a daily basis. I suppose it’s a function of the 24/7 news cycle world we all live in. So, that being said… I personally think it should be obvious to be reminded every now and then that there are still decent human beings around every once in a while. People who do the right/nice thing.. just because they can. Like the United Airlines staff that held a plane at a gate for one passenger. So he could make the flight and get home. To see his dying mother one last time. Cheers to them. Okay folks, it should be obvious that that’s five. And with that, it should be obvious that I’m ready to start the weekend. As one of my co-blogger’s reminded me, “It’s no Boondoggle” and it’s not, but it’s still a weekend, so I’ll take it. In the meantime, I’ll just keep thinking about being down in the Islands. Good morning everyone, and welcome to February. If the title seems rather random today… well, that’s because that’s pretty much where we’re headed. So, let’s get to it shall we? I will admit, I managed to call it and even I’m already tired of the coverage. Yes, I’m talking about the hype building up to the Superbowl. It almost seems like it can’t get any more out of control. And then I read about Canadians having 30 foot antennas installed so they can watch the game on American television. For the commercials! Admittedly, the commercials are often better than the game. First there was all the talk about the bacon shortage. Now, leading up to the Superbowl (convenient, no?) comes talk of a chicken wing apocalypse. Talk about hitting Superbowl parties right where they live! Just remember, if you switch to chicken nuggets as a standby… Parts is parts. And uh… if you can’t find any wings, under no circumstances should you go with the chicken rings. Ever. Think about what part THAT might be. It’s the line almost everyone remembers from the movie. It’s a running joke, a punchline unto itself. It’s overused, and applied at the drop of a hat. But there is a reason that “You’re gonna need a bigger boat” has stuck around all these years. This however, is probably not one of those occasions. Or maybe it was. Either way, a headline about a hooked marlin sinking a fishing boat makes this week’s list. And now, it’s time to get a bit cranky. There’s been a viral receipt story going around lately. And this one has a bit of a twist. A rather classless minister left a receipt with a note asking “I give God 10%, why do you get 18%”. Of course, it should be noted, She then left a ZERO percent tip. The waitress has since been fired and the chain apologized to the minister. You know what, I side with the server on this one. The name wasn’t really posted (Someone still recognized part of the signature apparently and ID’d the cheapskate). Still, you don’t want to be called out like that? Do the right thing. Pay the tip. If you don’t you’re not only stiffing the server, but also the bar backs, bus boys, hostess, possibly even some of the kitchen staff. Yeah, nice job there Pastor. When’s the next sermon on giving? And now for something completely different… Yahoo just published an article outlining some of the wackier traffic laws around the country. And while the actual article deals with some good tips, the graphic at the bottom with the silly laws steals the show. The one that catches my eye consistently though? In Sarasota, the fine for hitting a pedestrian with your vehicle is $78. Heck, at that price I might line a few people up on purpose! And Sarasota is located, naturally, in Florida. Of course it. Always Florida. Okay, that’s five and I’m ready to start Superbowl weekend. And our picks are in, and will be posted this afternoon. So we’ll see you then. Until then… I have a question. What would Brian Boitano Do? Had to slip in one more wing reference! Have a great weekend folks! Wow! It’s Wednesday and the Beerbarrel has a new post up! How in the world did that happen??!?!?!? Anyways… It deals with a question we’ve been pondering here at The Beerbarrel for a while… so enjoy! There’s a book out called “Who Moved My Cheese“, this post has absolutely nothing to do with that book, or that cheese. We’re talking about the Good Cheese today folks, we’re talking television and pop culture stuff. Specifically the “cheesy” stuff that you remember in a fond way. The GOOD CHEESE . The stuff that doesn’t seem to get made anymore. So what constitutes good cheese? Well, first off, it has to be cheesy (Ok, I’d say that’s a given). Obviously not real. Of course, this instantly rules out *any* reality television show. Sorry, those just come across as far too “scripted” or “staged” to be *real*. Want real? Watch the news. Go outside. Stay at work. Good cheese can really be just about anything. Music, Television, Movies, you get the picture. Want examples? Ok, let’s start with TV. Lots of good cheese there. Sadly though, most of it qualifies as aged cheese. For example, the 1980’s were a golden age for cheese in general. Lots of good cheese to be found there. The Archtype of 80’s TV Good Cheese? A movie from a bit further back? How about some all time cheese? Ok, I think we’ve established “Good Cheese”. So…what the heck happened? The stuff today doesn’t even come close. Now, I realize and understand that nostalgia often plays a role. Let’s not forget that although it’s viewed almost comically today, Jaws was viewed as almost “Hitchcock” like in terms of horror films when it came out. Of course, these days it’s more about the one-liners like “We’re gonna need a bigger boat”. But a lot of the TV shows? You knew they weren’t real. Knight Rider? A sentient, talking Trans Am? C’mon. That’s cheese. The A-Team! Right. 100,000 rounds fired from assault weapons and not a single person wounded. Same with the Storm Troopers in Star Wars. What about CHiPs? Yeah, because there are always random 45 airborne car pileups in the middle of the day. Fun to watch, yes. Real? No. I was in a 6 car accident on an interstate last year. Not one of us went airborne. Very disappointing. So, how did we get from all of that to the reality tv we have today? The writer’s strike? A change in what viewers wanted? Possibly. What with all the channels available now, you had to find a way to grab attention. Maybe we’re finding out what’s at the bottom of the slippery slope. “Who can be the most outrageous” seems to win the ratings these days be it television, movies, or music/radio. Economics? Probably. Cheaper to produce and slap onto the air if you don’t need scripts and actual actors? (Ironic that they don’t have actual scripts, considering how scripted they seem!) Or was it something different altogether? Who knows, we sure don’t. Let us know what you think, and what are some of your favorite bits of “Good Cheese”. Looks like we’ve arrived on the verge of another weekend. So things can’t be all bad, right? We’re feeling a bit of pressure here at the Beerbarrel today. Someone was kind enough this week to refer to our little endeavor as “funny” and specifically mentions this very Five Thoughts series as “great”. See, that’s the problem with praise… now we have to live up to it! So with that in mind, let’s kick this one off and see where we land when it’s all over! Folks, I need to put this one on the top. I just really do. Even if I happen to think it’s somewhat faulty logic, I can understand the appeal of those “Out of a job yet? Keep buying foreign” bumper stickers. But folks… FOR THE LOVE OF ALL THAT IS HOLY… if you’re going to put one of those on your car, take the TWO MINUTES TO MAKE SURE YOUR CAR WASN’T BUILT IN ANOTHER COUNTRY! I mean, putting one of those on a car built in another country is ALMOST as bad as the “I work for Ford, I drive a Ford” license plate holder I saw… On a Cadillac. I honestly wish I was making that last part up, but I’m not. Now, I really don’t mean any offense to anyone who’s handicapped but this one needs to go into the “Are you kidding me?” file. The upper floor of the lifeguard building needs to be brought into compliance with the Americans with Disabilities act? They can’t get a waiver? So, there are a lot of disabled lifeguards out there? Yes, I know I’m being a bit harsh. But silly is silly, and that is most definitely silly. Really BP? Who the heck is running your PR these days? You’re fighting one of the biggest PR battles in the history of the PR industry with this oil spill, and stuff like photoshopped pictures are being approved for publication? What in the world are you (not)thinking? For the record, I do hold a bachelor’s degree in advertising and public relations. So if you need some simple advice like oh, I don’t know… “you’ve got enough trouble, don’t go faking photos and make more for yourself. You already have a big enough mess to clean up!” just give us a shout. That first one was free. You’re welcome. Ok folks. That’s five thoughts on a rainy Friday here. We’ve also got a Tropical Storm down in the gulf so stay tuned, because events like that almost always lead to some sort of amusing story. We’re out for the weekend! See you soon. And because this is how I felt writing this one, like I mentioned in the opening….